In the last few years, it became apparent that the current publications server was no longer responding to the needs of its users, namely, the University of Luxembourg’s (UL) researchers. Their needs had evolved and the server had become an important part of their work at the university. However, the system was too difficult to maintain and therefore, the decision was made to search for a replacement with one goal in mind: the new server must place authors at the centre of the publication process. During the course of 2010 and 2011, the University of Luxembourg began discussions with the University of Liège regarding their digital repository, ORBi. ORBi was gaining great strides at the University of Liège (ULg) and the University of Luxembourg could see the advantages it was bringing to ULg’s authors and the institution itself. In 2010, Alma Swan (Director of European Advocacy, SPARC Europe) produced a summary of studies showing the citation advantage found by making documents available via Open Access. Online articles in the field of medicine have the advantage of being mentioned 86% to 300% more often than off line items. Articles in communications/IT showed an advantage of between 200% and 580% with the lowest advantage being mathematics ranging from 35% to 600%. Numerous other publications point in the same direction (see the Open Citation Project bibliography). The 10th of May 2012 saw the official signing of the collaboration agreement between the University of Liège and the University of Luxembourg for the implementation of ORBi at UL. The event, moderated by Lucienne Blessing, was able to convey to the audience the value of self-archiving and Open Access and included presenters such as Alma Swan, Bernard Rentier (Rector, University of Liège) and Paul Thirion (Director, ULg Library Network). bibliographic references of all their scientific production published since 1 January 2009. For full details regarding the mandate, see Deposit Mandate. For the full mandate text, please see Open Access and the University of Luxembourg's Digital Repository Mandate. For more details regarding the mandate, please see FAQ: The University of Luxembourg’s Digital Repository Mandate. ORBilu was officially launched on the 22nd April 2013. The acronym ORBi stands for "Open Repository and Bibliography". It also expresses the Latin word "orbi" ("for the world") and signals the will of the University to make its academic research available to everyone, without barriers, be they legal, financial or technical. By keeping the ORBi name and adding “lu”, the University of Luxembourg wants to show its appreciation for the work done by the University of Liège but also clearly indicate that this is a version adapted to the UL context. OpenDOAR: Directory of Open Access Repositories. ORBilu is listed in this authoritative directory of academic open access repositories. ROARMAP: Registry of Open Access Repositories Mandatory Archiving Policies. ROARMAP lists worldwide institutional archiving mandates including that of the University of Luxembourg. OpenAIRE. The ORBilu Team acts as the National Open Access Desk for Luxembourg in OpenAIRE, an EU project aimed at supporting the implementation of Open Access in Europe. We advise on OA requirements linked to funding received from FP7 and H2020. PASTEUR4OA: Open Access Policy Alignment Strategies for European Union Research. PASTEUR4OA aims to support the European Commission’s Recommendation to Member States of July 2012 that they develop and implement policies to ensure Open Access to all outputs from publicly-funded research. COAR: Confederation of Open Access Repositories. 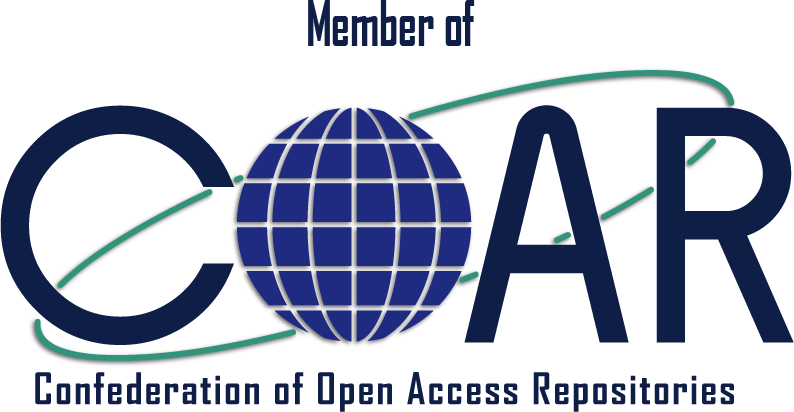 COAR is a young, fast growing association of repository initiatives launched in October 2009, uniting and representing 90 institutions worldwide (Europe, Latin America, Asia, and North America). Its mission is to enhance greater visibility and application of research outputs through global networks of Open Access digital repositories.